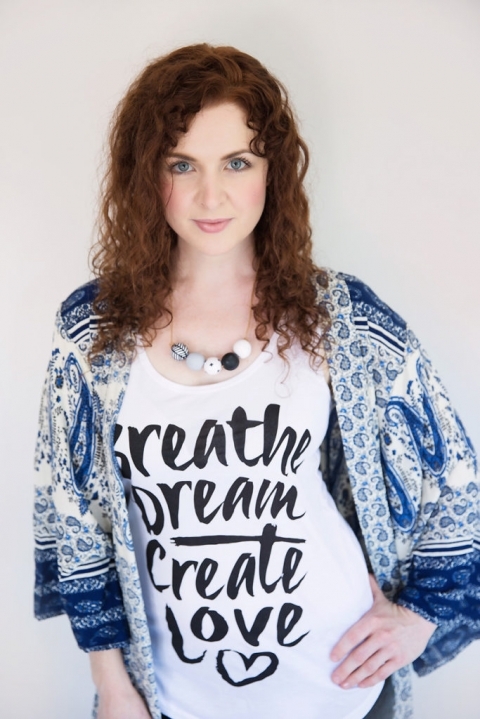 Breathe Dream Create Love is a gorgeous range of clothing for women, men and children by Holistic Health & Lifestyle Coach + Yoga Instructor Aimee Angelique. I had the absolute pleasure of photographing this range on this wonderful woman and her gorgeous family when they first arrived into stock. It was so fun to see Aimee, Gav and their two little girls Isabelle and Charlotte interact during the shoot and watch out for a little cameo appearance from my girl, Liana. 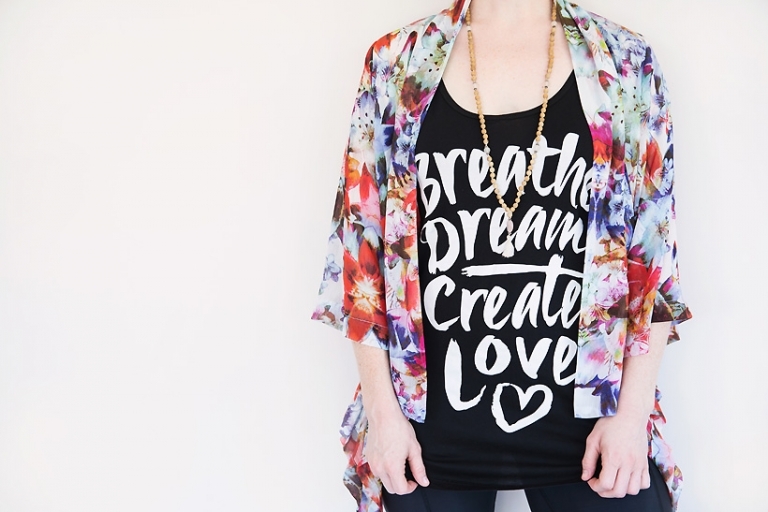 The words – Breathe ~ Dream ~ Create ~ Love – are the words I live by and encourage in everything I do. I believe in embracing life, slowing down and living from the heart. 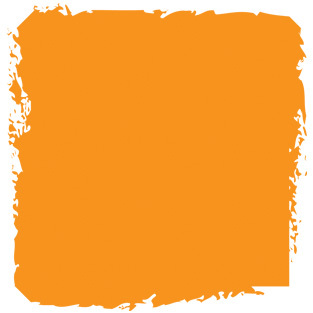 And breaths. I believe in big, nourishing, centering breaths! 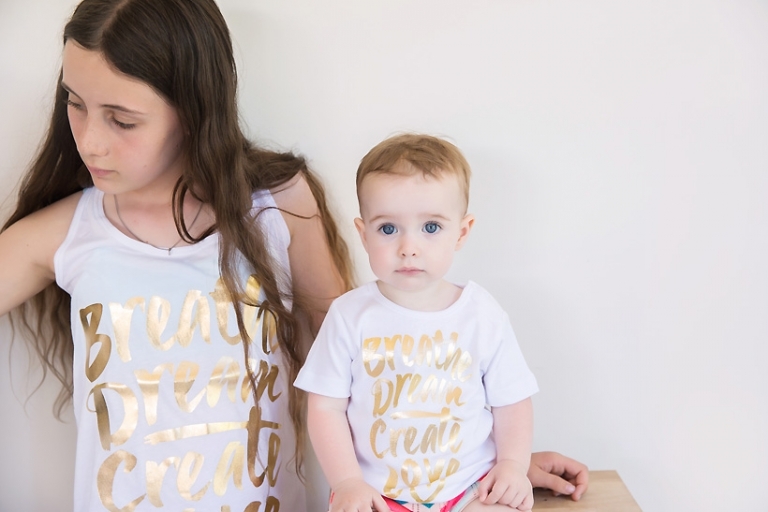 The Breathe Dream Create Love range of clothing is available in singlets and t-shirts across a variety of sizes for Women, Men and Children – including a onesie for your baby/ toddler! Super adorable!! Most options are available in black or white cotton fabric with black, white or gold foil printing. 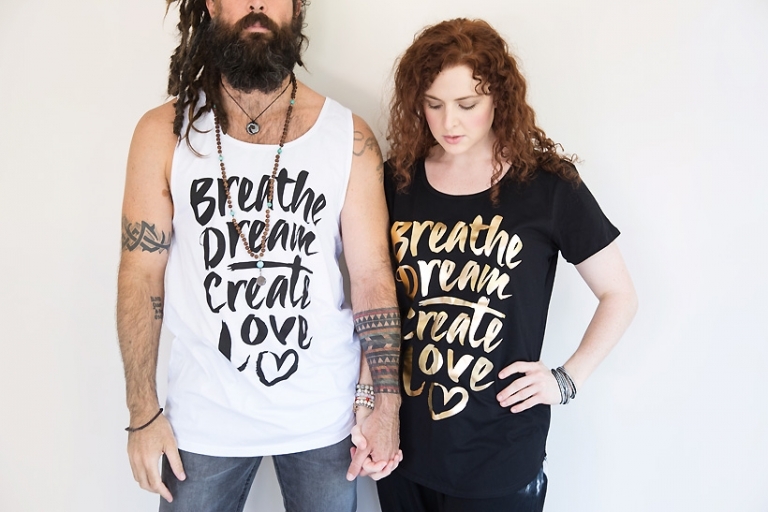 For more information, please see the Breathe Dream Create Love store here.